Art, Like Bread: Hookin' Up Project Day 5: Saski's Crochet Adventures! 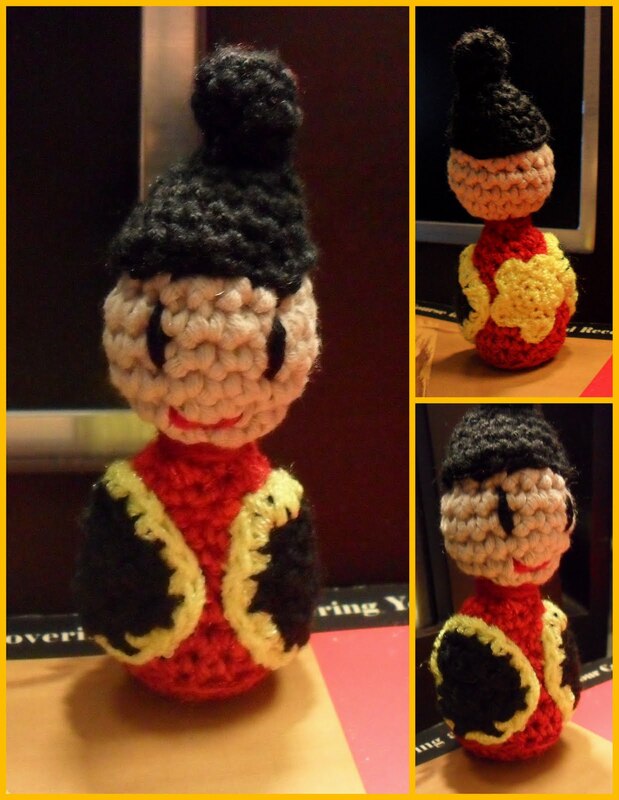 Hookin' Up Project Day 5: Saski's Crochet Adventures! Big Thanks to Tamara, for reviewing me on her wonderful blog yesterday. It was a great experience for me to be interviewed, and Tamara's questions were terrific! I feel so lucky! When I first landed on the spirited blog Crochet Adventures, I knew I liked the blogger, Saski. Who doesn't love an entomologist who crochets? I scrolled down a bit and found out we have similar taste in toasty scarves. It looks like Saski started her blog only a few months ago, but she already has some great pattern links up, including this gorgeous coaster. You should follow the link on her blog to find it! This woman seems to have a passion for amigurumi. Did you know I've NEVER crocheted amigurumi? Well, that used to be true, until I stitched up Saski's Happy Geisha. It is truly adorable! You can make one, too, with Saski's free pattern. 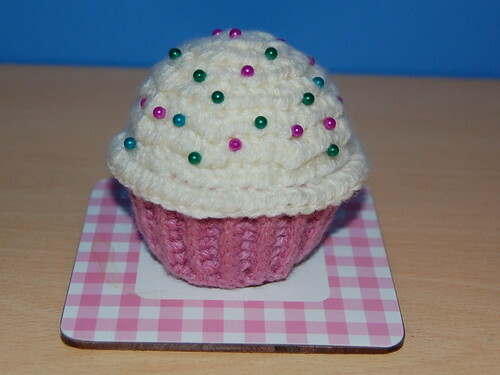 I'll end the post with a little crocheted treat for you from Saski's blog. It looks adorable, mouth-watering, and impeccably stitched. I love the use of beads for sprinkles! This post was written as part of the Crochet Concupiscence Hookin' Up blog project. 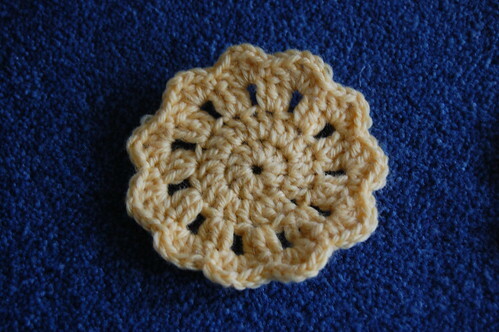 Check out Saski's Blog tomorrow for a review of another cool crochet blog! July 31. Coming full circle we’re back on Crochet Concupiscence for a roundup.